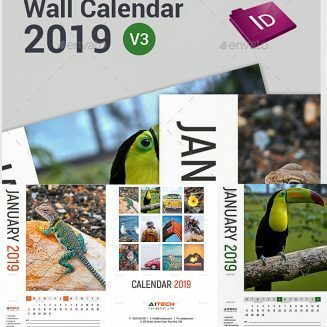 Introducing a perfect calendar template for you! This can be used as a personal or company calendar. Everything is done. Just add your details, insert images, adjust the color and it’ll be ready for print! File format: .idml, .indd for Photoshop or other software. Tags: 2019, 2019 calendar, 2019 wall calendar, A3 calendar, calendar, calendar 2019, calendar template, clean, Company calendar, dates, day, holiday, idml, indd, indesign, Minimal Calendar, Monday, month, New Year, office, personal calendar, portrait, stationery, sunday, th_studio, wall calendar, week, year.